In 1965 our elders had started their manufacturing business on a very small scale. In 1971 they have registered a firm for the export purpose of their products been manufactured. Now in 2009 that small business have developed into a very huge scale having our own factory with more than 120 machines for stitching, Hydraulic press cutters for fine cutting, Printing & Embossing plants for fine artwork and well management staff for quickest deliveries. One of the oldest and famous Company. Votec Trading Co, a customer focused company is engaged in providing the fighting sports solutions a wide range of market. The diverse range of the products includes Boxing Gloves, Boxing Training Mitts, Boxing Clothing, Training Materials, Martial Arts Uniforms, Protection Equipments and so on. Votec Trading Co, was established with an aim to provide high quality products and cutting edge solutions for fighting sports. Although the set up of the company was quite small at that time, the founders of the company had strong vision and urge to turn this small setup into one of renowned companies in sports industry. They continued to materialize their dreams with strong managerial capabilities and struggle. Votec Trading Co, has achieved remarkable progress in the market and providing quality products to wide family of satisfied customers. The continued confidence envisaged by our customers has pushed us to extend our existing products range to meet their future requirements. The company is in its highly progressive phase and expanding its infrastructure and workforce in order to ensure that increasing demands are being met. With this enormous progress, the Company is entering in a new era to serve increasing demand of its existing and potential customers. Besides the wide collection of innovative catalogue designs, the company also provides various on site demonstrations to present it customer the picture of high quality products. Quality and ultimate customer satisfaction has got the greatest concern in the company. Sticking with the highest level of quality and unmatched services headed the company from a relatively small set up to quite moderate set up in a very short period. Despite the world wide slump in many sectors of world’s economy, the company has maintained its pace of growth. 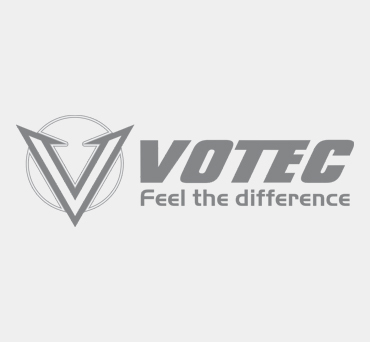 One of the core product line of Votec Trading Co, is Boxing Gloves & Boxing Gear. With the rapid growth and popularity of fighting sports, the demand for quality products has significantly increased. As such games directly involve fighting and hard punching with extreme powers, the players’ outfits must be of highest quality to remain in the ring. And, without any doubt, Boxing gear is the very first step to enter into the sport. Votec Trading Co, took the pride to provide its customers with the best of boxing products line. For this purpose, we are offering all types of quality boxing Gloves produced with high quality material and commitment to excellence through out the production process. Our team of certified and renowned experts is always ahead to provide its customers to the cutting edge solutions. Our products lines includes, Boxing Gloves, Kick Boxing Shorts etc. The range includes products for Men, Women and Children as well. The core of best practice in any field of life lies in the best training one has got. And, no doubt, only the best tool of trade can play drastic role in the best training program. Votec Trading Co, is committed to provide the state of the art training equipments for fighting sports like Boxing. The equipments range includes Boxing Gloves, Bag Mitts, Focus Pads, Speed Balls, Punching Bags, MMA Gloves and other accessories. Whenever it comes to the fighting games, the basic concern of a player is protection. A feeling of secure and protected play always adds hundreds to a player’s performance. To make the game secure and protected, Votec Trading Co, is producing quality protection accessories. The product range includes head guard, chest guard, focus pad, hooks and Jabs, groin guards, shin guards, kick shields, muay thai pads and cotton protection. Our main aim is to provide our Customers best quality products with very lowest prices and shortest delivery time. Thousands of Companies are engaged in export even they are manufacturer or not. Mostly exporters buy from us and export them all over the world by adding their high profit margins.